Chogtrul Rinpoche was born at beautiful Darjeeling in the Northeast of India in 1966. His father, Pacung Bengpo is a chieftain of Pacung (the west of Sichuan of today), confers a county. Mother, Dorje Lhamo, grew up from a family of gentry. Both parents are pious Buddhists, who always support and shield the Nyingmapa tradition. In 1965 winter, His Holiness the 3rd Pedma Norbu Rinpoche invited Dudjom Rinpoche, 16th Gyalwang Karmapa and Dalai lama to enter meditation jointly for looking for the reincarnation of his guru, Chokyi Dawa Chogtrul Rinpoche. Then observed the view of Darjeeling and other related Chogtrul Rinpoche matters. With these signs, these great throne holders unanimously recognized the child as the successive reincarnation of previous Chokyi Dawa Chogtrul Rinpoche. When Chogtrul Rinpoche was three years old, Dudjom Rinpoche took him to Nepal. After Dilgo Khyentse Rinpoche recognized this child as the reincarnation of Chokyi Dawa Chogtrul, Chogtrul Rinpoche received all the teachings, empowerments and transmissions from Dudjom Rinpoche. At the age of four, Pedma Norbu Rinpoche took Chogtrul Rinpoche back to Namdroling Monastery in south India bestowing the Coronation Ceremony for Chogtrul Rinpoche by the tradition of Palyul Dhartang. 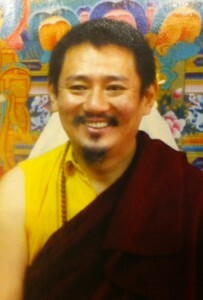 Chogtrul Rinpoche is one the “heart sons” of HH Pedma Norbu Rinpoche and one of the main Palyul tulkus. He studied at Namdroling Monastery under the guidance of the third Drubwang Pedma Norbu Rinpoche. He also received teachings from other great masters like Dudjom Rinpoche, Dilgo Khyentse Rinpoche, Dodrupchen Rinpoche, Chadral Sangye Dorje Rinpoche, Nyoshul Khenpo Rinpoche, Thinley Norbu Rinpoche and so on. Until twenty years old, Chogtrul Rinpoche have received and accomplished all the important practices, empowerments, transmissions and teachings of Nyingma tradition, including ocean-like transmissions of kama and terma, Seal Mahamudra-Great Perfection Ati Yoga. 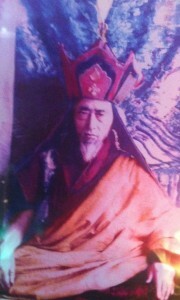 Then Chogtrul Rinpoche has reached the highest great achievement of Guru Drag-purba (Guru Dragkila) transmission. In 1983, held the Molan Qianmo ceremony (wish world peace) for the first time in holy land Bodh Gaya (the place of Buddha reaching realization) of India. From then, the annual ceremony must be done every year by Tibetan Buddhist. Later bearing promise of spreading Buddda’s dharma given to his guru Pedma Norbu Rinpoche, Chogtrul Rinpoche came to Nepal, and established a Buddhism school and a retreat center in the north suburb of Khatmandu in five years. So far, many lamas and disciples and the followings accept the teachings and retreat in this school. 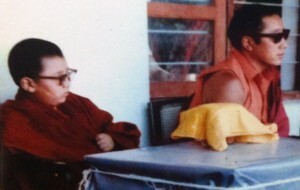 In 1987, Chogtrul Rinpoche came to Taiwan for holding cremation ceremony of Jampal Lodro Rinpoche Come. Then he was invited to Karma Kagyu Monastery in Tainan to instruct them to build the first stupa in Taiwan. Then Chogtrul Rinpoche travels around all places in Taiwan and devote to activities of spreading the precious dharma around this dharma-drought area. 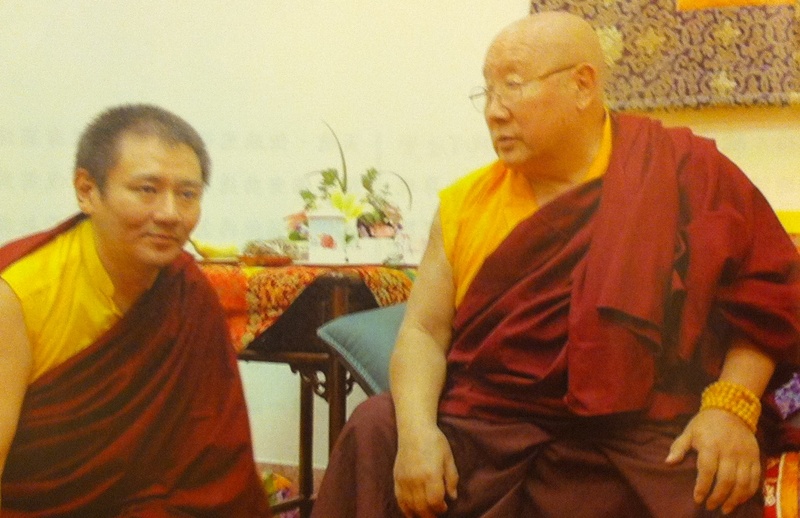 In these years, Chogtrul Rinpoche travels to Si Chuan province in China and returns to Dhartang monastery for being invited eagerly by monks, previous disciples and pious residents, he offered substances they need and gave them teachings and empowerments. Now Chogtrul Rinpoche decides to raise funds for building a Dhartang retreat center to benefit those aspirants that they have received the profound teachings and could accomplish the practices! Chogtrul Rinpoche is also a scholar of great attainments in grammar, for this reason, he translates in Chinese and corrects many mistakes of translations of Tibet sutras and scriptures. The instructions of Chogtrul Rinpoche are all- embracing. 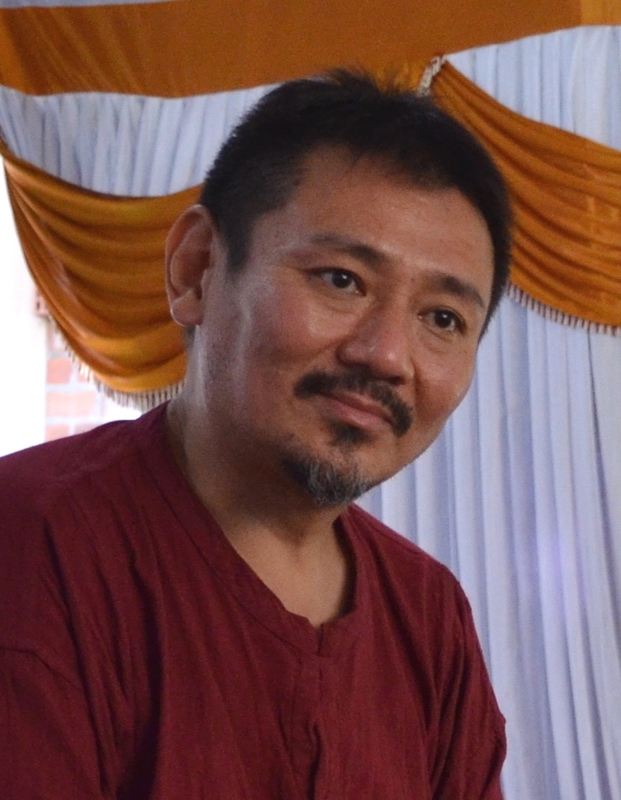 He teaches and studies with disciples not only Buddhist dharma, but such as the making of prayer wheels, carving, calligraphy, embroidering, cooking, sipping tea, stone arts etc. His teachings have imperceptibly influence of the followings and disciples close to him in life and are different according to the level of their experience and potential. At present, he is visiting different countries to share his wisdom experience on Buddha dharma to benefit everywhere.